Dr Kamal Hossain, Convener of Jatiya Oikya Prokriya, on Tuesday called upon the people of all walks of life to join their ‘greater national unity’ process to ensure a good national election in the country. 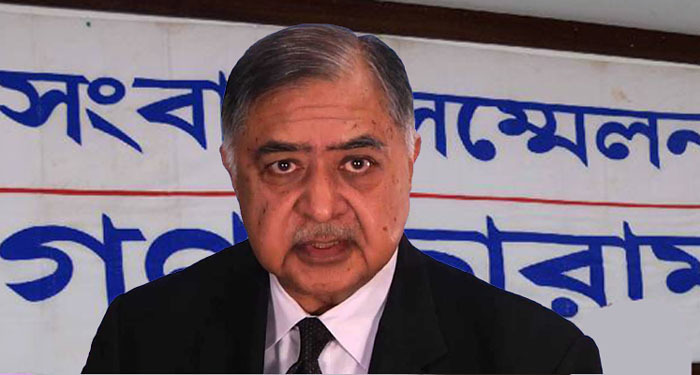 Dr Kamal, also the president of Gano Forum, came up with the call while talking to journalists at Jashore Press Club before going to Khulna to address a public rally. “People are the owners of the country while the government is only their service provider. If they (govt) don’t understand it, people need to play the role of the owner (of the country) to make them understand it,” Dr Kamal said. “There’s no reason to feel helpless. We must realise our demands from the government…we need to apply our strength keeping it in mind that we’ve some responsibilities as the owner of the country,” he observed.